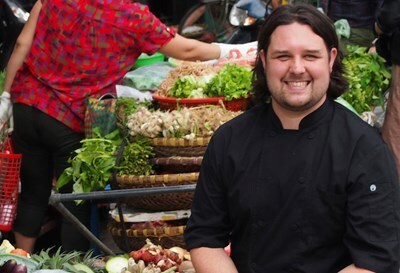 Cameron is a Canadian chef currently living in Hanoi, Vietnam. Over the last decade, he has eaten and worked in kitchens throughout Asia and North America. His extensive travels have fueled his passion for a variety of cuisines and culinary techniques. During these travels he recognized that in many parts of the world some of the best cooks are not found in professional kitchens and continued to search out and work with traditional home cooks to develop a mutual understanding and tutorship of their respective cuisines. When living in Canada, he cooked for the Governor General of Canada where he highlighted heritage ingredients to create dishes and menus that represent Canada’s varied cultural communities. He has shared Canada’s delicious culinary landscape with Her Majesty Queen Elizabeth & the Duke of Edinburgh; the Prince of Wales & the Duchess of Cornwall; the Duke & Duchess of Cambridge; the Emperor & Empress of Japan and many other foreign dignitaries, international business leaders and fellow Canadians. 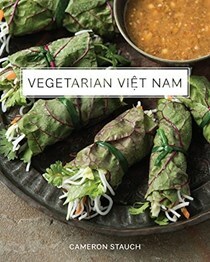 Currently, he conducts a series of bi-monthly dinners with the Hanoi Social Club; teaching cooking classes to home cooks and domestics helpers/cooks; and travelling around Southeast Asia (primarily Vietnam) in search of cooks and producers who are focused on preserving and enriching their local culinary ingredients and traditions.